It is hard not to love the sun. There were entire ancient cultures dedicated to its worship and most polytheistic religions have a sun god or goddess. Wikipedia provides a large list of hundreds of solar deities from 37 cultures. A solar deity is a god or goddess who represents the Sun, or an aspect of it, usually by its perceived power and strength. Solar deities and sun worship can be found throughout most of recorded history in various forms. Most people today no longer pay homage through religion to the sun as though it is a distinct being; rather they take a more scientific approach toward the giant mass of gasses that is the center of our solar system. They understand that it gives us light and warmth, which makes earth what it is – a beautiful planet. Most also have a real appreciation for the feeling of the sun’s rays touching the skin. Whether you are basking in the warmth of a sun ray through your window like a cat, or enjoying the sun ocean or pool side – there are people in every corner of the world who spend their time laying out. In the common modern vernacular these folks are usually called sun worshipers. This is a dangerous habit, however, that comes with a catch-22. At Sabrina Beauty we believe in providing you with the pros, the cons and our recommendations for any situation that impacts your lifestyle, health and beauty. 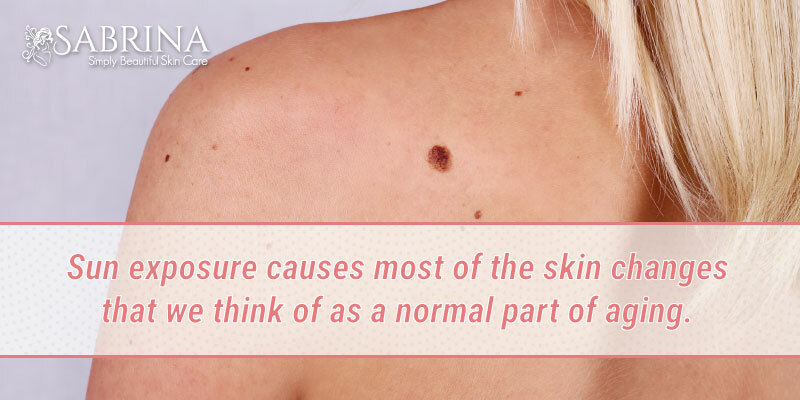 The crux of this comes from the interaction between the sun’s ultraviolet (UV) radiation (rays) and your skin. The human body has a symbiotic relationship with the sun. 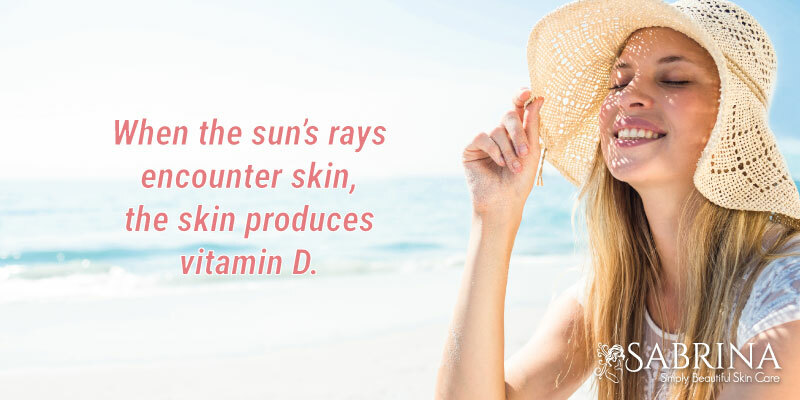 When the sun’s rays encounter skin, the skin produces vitamin D. Having sufficient vitamin D is a critical component of your health. Vitamin D is actually not a vitamin at all, but rather a prohormone. It can be obtained through diet, as well as from the sun, by eating animal products such as fatty fish, liver, and egg yolks or by taking a supplement. The most efficient way to get it, however, is from the sun. Vitamin D, especially related to sunlight, is also linked to good mental health. (Source). And, the sun is what makes it possible for plants to grow. It is no wonder why so many people throughout history were sun worshipers and why so many people still are today. 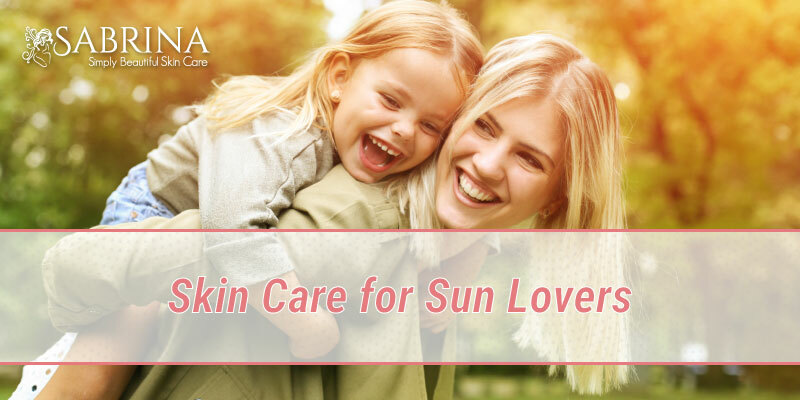 There are two things that you can do to keep the sun from causing damage to your skin so that you stay beautiful and healthy beyond your years. The first of these is to protect yourself from the sun’s damaging UV rays. 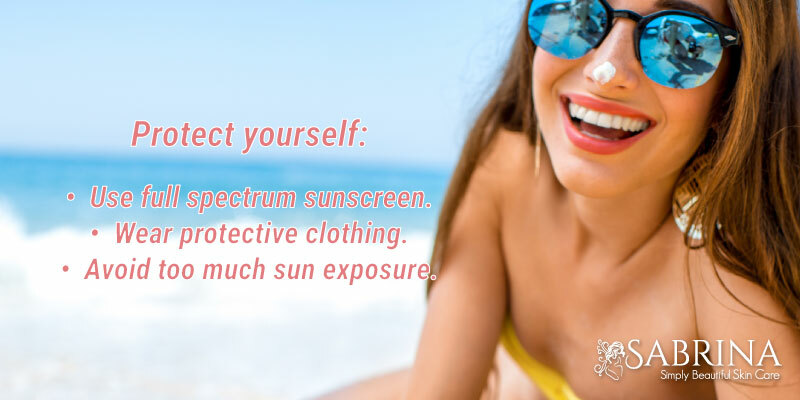 This entails using full spectrum sunscreen, wearing protective clothing, and avoiding too much sun exposure. The second way to stay beautiful, despite some sun damage, is to use SABRINA Collagen Rx Plus. This amazing face cream is loaded with sun-damage fighting antioxidants, collagen that goes directly into your skin thanks to nanotechnology, and age-defying green apple stem cells. Hello, just wanted to mention, I enjjoyed this blog post. Yes, we occasionally send out newsletters. Join our mailing list in the footer of the website. (:, thank you for putting up. https://migration.me.uk/index.php?title=Ensuring_Maintain_Your_Skin_To_Its_Very_Best_Condition. you for putting up. https://migration.me.uk/index.php?title=Ensuring_Maintain_Your_Skin_To_Its_Very_Best_Condition.